Hunter McIntyre isn’t built like a typical endurance athlete or obstacle racer. At 6′ 2″ and a few steak dinners shy of 200 pounds, he bucks the typical slender, distance runner build. In fact, you might even recognize those famous abs, bis, and tris from his time as a male model, during which he worked for big brands like J.Crew and Abercrombie & Fitch. But Hunter’s modeling days are behind him. 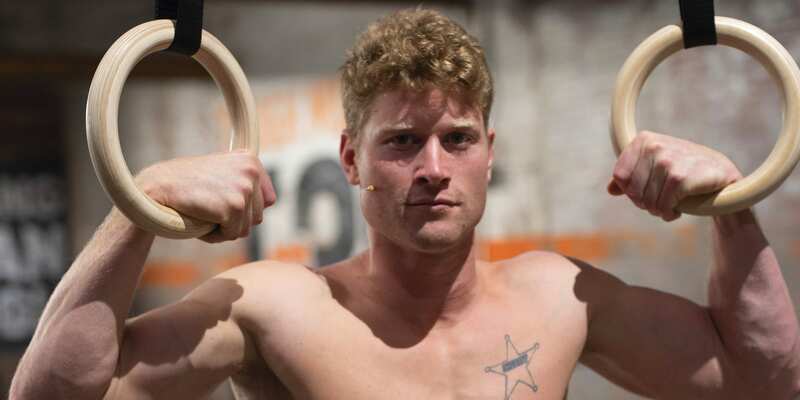 He’s now a professional OCR (obstacle course racing) athlete, and his life revolves around crushing Tough Mudder competitions around the country, including grueling events like the 24-hour Toughest Mudder and the short but brutal Tough Mudder X, which he won in 2017 and 2018. He’s also the trainer behind the brand-new Openfit program TOUGH MUDDER T-MINUS 30, a 30-day program that will get you prepared to take on a Tough Mudder! Get started with it today! As one of the sport’s top competitors, the Westchester, New York, native is as outspoken as they come, embracing his nickname “The Sheriff,” regularly flexing for his tens of thousands of followers on social media, and putting up race results to justify it all. He’s a man who has found his passion and his sport, approaching both in his own unique way while consuming more honey than a brown bear after hibernation. Openfit: You were an accomplished wrestler and record-setting cross country runner in school. How did you end up in the world of obstacle racing? Hunter McIntyre: A friend invited me to do an obstacle race back in 2011. I was a little lost at the time — I wanted to be a Division 1 runner or wrestler, but once I got to college, I just wanted to do sports. I didn’t want to do the school work. After that first obstacle race, I realized I was pretty gosh darn good at it. I didn’t need to be skinny — I needed to be strong. I could charge as hard as I like to go. My style of athleticism was well-suited to these races. By the time 2012 came around, I had told my parents that I wasn’t going back to school — I was going to focus full-time on racing. When do you typically start training for a big race? I usually start preparing about six months out. Then the last three months before a championship, I go somewhere that’s high-altitude, like Park City, Utah. I minimize the rest of my life down to one or two training partners and two to three workouts a day. Two days a week I’ll do three workouts a day, and five days a week I’ll do two workouts a day. I take one day off. With that much training, you must be eating a ton. 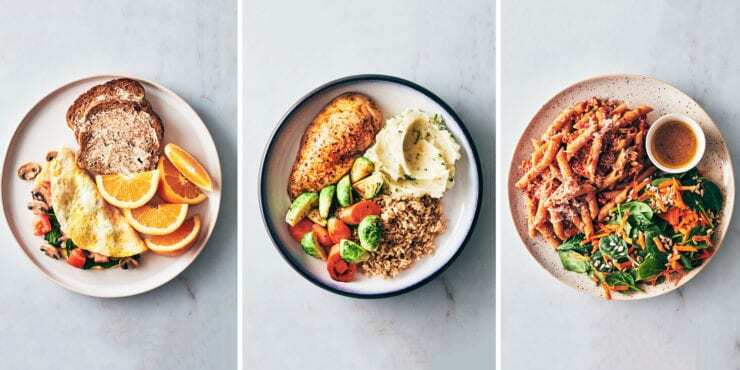 Can you run us through your regular diet? I usually wake up and have a bowl of cereal with three or four tablespoons of honey on top. I usually have a protein shake and sometimes Greek yogurt with honey or syrup. Then I’ll go to the gym for an hour and a half or two hours, and the whole time I’ll drink iced tea with a simple carb, like honey. You need hydration and a little bit of fuel. Then, I’ll have another protein shake. And we’re barely even through your morning. Then I’ll come home and it’s time for protein pancakes with lots of syrup. For my first real meal of the day, I’ll have a half pound to a pound of rib eye steak and a couple cups of rice. Before I leave for my second training session, I’ll have more cereal or some soup. I’ll have a shake, which usually includes about four whole bananas and more honey. Sometimes I put the pancake batter right in the shake even though it can make me a little sick to my stomach. Then dinner is another steak with two to four cups of more rice and maybe some sweet potatoes. Do you love honey that much? It tastes good and it’s really easy to ingest in mass quantities. I can put it on anything and get the carbs that I need. What do you do when you’re not working out or eating honey? My friends and I go surfing a lot. Once a week, I’ll go get a really nice massage, but most days I’ll go to a cheap massage place. I’ll get a $20 foot rub and relax and not talk. I try to stay in that moment and enjoy it. I also like to read a lot, take naps, and watch action movies to get me energized to get back out there. I love Die Hard, but I’ll watch pretty much anything with action in it. Do you like to train alone or do you prefer to have people around? My passions in life all involve spending time with people. I have a small group of buddies who train with me to keep me focused and motivated. I like keeping people around me at all times. What other strategies do you have for staying motivated at the gym? How do you fend off a bad session? It’s tough to have a bad session, but it’s going to happen. When I’m not feeling it, I still go through the motions. It can last a couple days, but the passion pushes you through it. How have you learned to embrace that struggle? If I won the lottery every time I scratched a ticket, I’d be a millionaire by now. But we have to realize that there’s adversity along the way. I think too many people are too willing to say, “I’m not feeling it today,” and throw in the towel. That drives me nuts. I’m the kind of guy who just gets after it. One bad day now means I have enough energy for a really good day later. How about during a race? How do you get amped up to tackle the first obstacle on a course? I start to run faster when I get close to the first obstacle. If you tiptoe and go slow into the first one, you’re going to hate it. The best strategy is to just charge ahead. I want to smash it. I love power cleans. It’s such a powerful movement. It takes every ounce of your strength to rip that thing [weight] off the ground and bring it to your chest. It feels amazing. The day that I die I’m going to be doing power cleans. They’re great. And your least favorite exercise? It’s funny because I love power cleans, but I hate snatches. I’ve trained them for years, but I always feel stupid doing them. I’ll be doing great in the gym, and then I’ll do snatches and I’ll have to go down 15 pounds from what I was lifting a couple of weeks ago. It’s painful. What do you listen to when you’re working out? A whole lot of James Brown. Do you have a preferred cheat meal? It’s gotta be ice cream. If I have a lot of calories left at the end of the night and I’m trying to hit my numbers, then I’ll take a whole thing of ice cream, throw it in the blender, and smash it up. I actually probably eat a lot more ice cream than you might think. It’s not even a cheat meal. It’s just getting the job done.